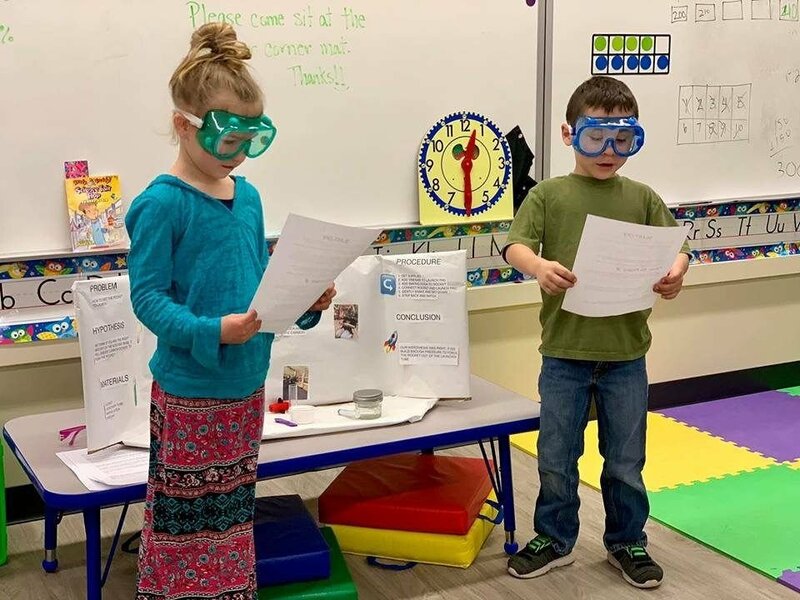 Riggins Elementary School students give presentations on their projects at last week’s Riggins science fair. Salmon River’s Chevelle Shepherd stepped through a double-team to score two of the 29 points she totaled during her final game of the state tournament. Spring Red Cross blood drive will be Tuesday, April 2, from 2-7 p.m., and Wednesday, April 3, from 8:30 a.m. to 1:30 p.m., at the Salmon Rapids Lodge. Contact Kris or call Joy 208-628-3224 to make your appointment. Riggins ETC Shop located on Main Street has a beautiful new wooden fence that adds such beauty to the shop and Riggins itself. Thanks Jim and Linda Kern, owners of the ETC property; great job. The Salmon River Motel had a beautiful cement retaining wall poured to replace the old hedge, which added more room for parking. Jim Kern and his crew did the work and a lovely job at that. And, now about “the mystery” building going up at Riggins White Water Market. The addition looks great on the North side of the store…lots of guesses to just what it is going to be, but it is a mystery as of now…no one is telling, yet. Stay tuned! Chevelle Shepherd, daughter of Charlie and Susan Shepherd, played the Senior All Star Game last weekend and her team won! Riggins Kindergarten Screening and Preregistration for both kindergarten and preschool for children will be Friday, April 19, at the Riggins Elementary School from 9-11 a.m. Call 208-630-6055 to make your appointment. District 3 High School Rodeo will be held Saturday, April 13, at noon MST, and Sunday, April 14, at 10 a.m., MST, at the Riggins Rodeo Grounds. Emily Diaz and Jordyn Pottenger are representing Salmon River High School. There are more than 50 high school students in District 3 and about 30 in the junior high division from the top of Idaho to Weiser. Additional rodeos will be held in Weiser April 27 and 28; finals in Cambridge May 10-12. Community Easter Service 2019, with a joint venture of Riggins churches, will be held Sunday, April 21, at the SRHS football field at 8 a.m., followed by a continental breakfast of muffins, fruit, juice, and coffee. There will be a children’s Easter activity during the service with the help of the SRCC Youth Group. Everyone is welcome. No regular services at Salmon River Community Church nor Riggins Assembly of God Church, so all who want may attend the Jet Boat Race. Pinehurst Quilters will be hosting its quilt store Friday, April 29, at the upper level of the Riggins Community Center from 10 a.m.-5 p.m., with a $3 admission fee. They will have an array of quilts made and displayed by Pinehurst Quilters as well as a featured quilter displaying her quilt pieces. Two quilts will be offered as raffle items; one winner will be announced Friday; the other will be announced at the Cancer Walk, May 18. Sierra Bovey’s poem, “Lucille,” was selected as a winner of this year’s Transforming Writing challenge which will be published in this year’s booklet; Sierra also received a $25 cash award. Congratulations, Sierra. Sierra is going to National Fine Art in American Sign Language and Digital Photography Mobile. Sierra received an Award of Merit for her Sign Language and was asked to perform at the Awards Ceremony. Nationals are July 28-Aug. 3. Tenesee Hollon, daughter of Travis and Shoshana Hollan, submitted a joke and picture to the Pine Tree Credit Union Pee Wee Penguin Club Newsletter which was published in the Spring Newsletter. She received a prize from PTCC for her joke, “If money doesn’t grow on trees, why do banks have branches. ?” Congrats, Tenesee. A celebration of life honoring longtime Salmon River resident, Bob Schultze, will be held at noon, Saturday, April 6, at Riggins Community Center, 121 Lodge St. in Riggins. All are welcome to attend and celebrate Bob's life. In lieu of flowers, bring your favorite memory and potluck dish to share. The 71st annual Riggins Rodeo is Saturday, May 4 and Sunday, May 5. Hikin’ for Healthy Hooters Cancer Walk will be held May 18, beginning at Miners Supply, 35 Old Pollock Road. Registration forms, which are available at Riggins Pine Tree Credit Union, need to be returned by April 15 to be assured of correct T-shirt size. The beautiful quilt donated by the Pinehurst Quilters is on display at Pine Tree Credit Union; tickets can be purchased there or at the Cancer Walk. Winner will be drawn about 12:30 following the Walk. Need not be present to win. Dedication of the Riggins City Stage will be held Saturday, May 25, at Riggins City Park. We will be “Rattling the Canyon” with American Bonfire, Muzzi Braun ,and DJ and The Stingrays. Stay tuned right here for more exciting details. The SRHS Class of 1979 will hold its 40th Class Reunion July 26-28, during the Hot Summer Nights celebration. Contact LaDeen Bedard, mountain_ladie@hotmail.com, to be sure she has your e-mail address and to get more detailed information. They would like anyone who was ever in their class to attend, as well as teachers. Nora is making a scrapbook; send any pictures you would like to include in the booklet. 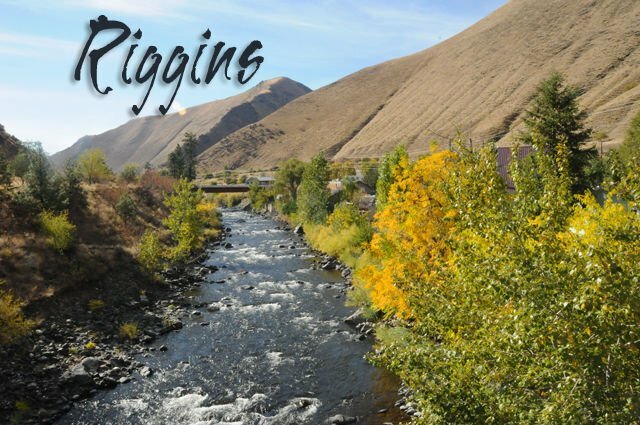 Leighton Vander Esch News: Leighton is spending his time in Riggins and the Salmon River Canyon doing just what he loves to do until his next training session. Leighton has spent some of his time here referring middle school basketball games. Cordell Bovey, young Riggins basketball player, said, “I really like to have Leighton ref because he gives pointers to all of us kids.” Cordell and all the kids absolutely love spending time with him; they all look up to Leighton. Just another picture of Leighton for the Salmon River Canyon, kids, and sports. Announcement: It is official…the Dallas Cowboys will play the Los Angeles Rams in a preseason game, Aug. 17, at the Aloha Stadium in Honolulu, Hawaii at 9 a.m. This will be the second preseason game for both teams this year. Tickets are on sale at TheRams.com. Hawaii or may be purchased on-site at Aloha Stadium. This will be the first time the NFL has played an exhibition game at the Aloha Stadium since 1976 when the San Francisco 49ers faced the San Diego Chargers. The Aloha Stadium was once the home of the Pro-Bowl beginning in 1979 and except for two years continued as such before moving it to Orlando, Fla., in 2016.